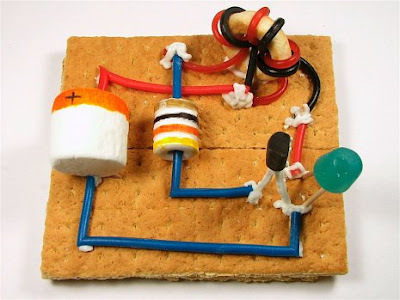 These cakes inspired by electronic circuits are very tasty from these pictures. 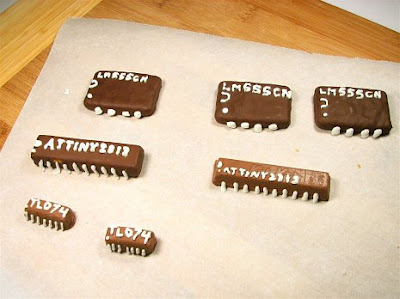 I'm sure that a cake like this would be a perfect gift for a tech person. 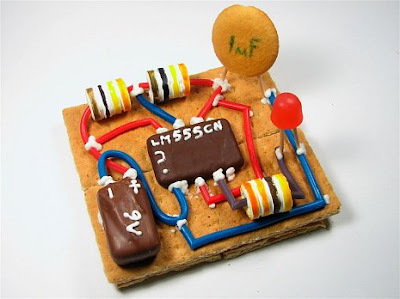 Full circuit boards, made entirely with… snacks. Passive, semiconductor elements, cables… from Haribo, Mars, KitKats… Cuties.